Jupiter’s profile is continuing to be raised as our story of success as a fresh produce grower and distributor is being highlighted across various online platforms by two of the largest technology businesses in the UK. As we make significant strides towards our international business goals, our journey, which has seen us ranked 17th in Sunday Times’ International Fast Track 200, is garnering further momentum and widespread interest. Our latest cause for celebration is that our international “seed to shelf” story is being showcased by Sage, the UK’s largest technology company and a market leader in cloud business management, and our partner Datel, who are Sage’s largest UK business partner. We are proud to appear on such fabulous high-profile online platforms, which are helping to further heighten our profile as one of the fastest growing UK companies on an international scale. A video with Jupiter founders Mark and Yvonne Tweddle, talking about how the company has grown from “just a blank sheet of paper, desk and a telephone” in 2003 into a multi-million-pound business growing produce in India, Greece, Chile and South Africa, is also included in the coverage. Mark, who jokes in the video, which was produced by Sage and features footage at our Newport HQ, that his full-time job is director of rugby at Burton Rugby Club, where Yvonne is also the sponsorship manager, said: “It’s fantastic that our story is being highlighted by Sage and Datel. 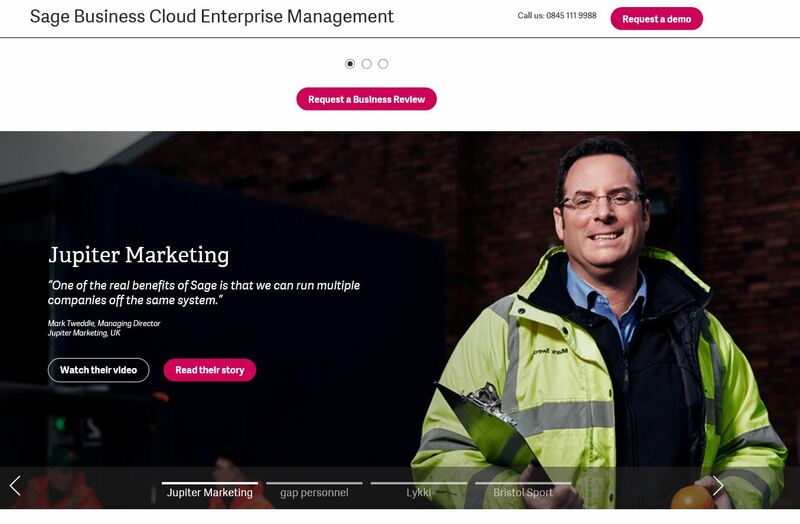 Jupiter’s story is currently showcased as the headline feature on Sage’s enterprise business page as well as appearing on its Sage Business Cloud Enterprise Management page. It also appears on a number of platforms on Datel’s website, including a case study on its customer reference program; and Yvonne is also highlighted on the header image of its YouTube Channel. We entered the 2018 Times’ International Track 200 with a 127.5% average of annual international sales growth in the last two years.